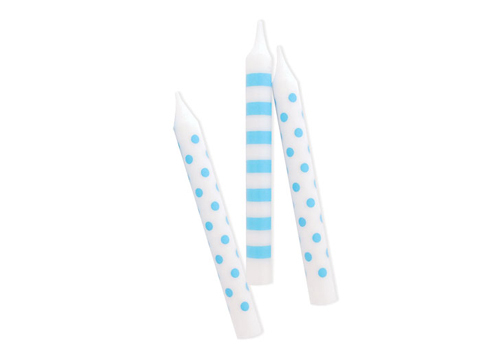 These stylish Paper Eskimo Blue Sherbert candles are the perfect way to finish your birthday cake or cupcakes. Perfect for any little boys blue theme party. Each pack consists of 6 spot and 6 stripe candles.